Biomedical engineers make up a unique niche that combines engineering and technology with medicine. They are the critical liaison between clinical personnel and technology experts. Over the decades their knowledge has been used to apply advanced technology to complex medical problems. From the development of pacemakers and defibrillators to critical imaging such as CT, PET scans or MRIs, biomedical engineers have revolutionized treatment, diagnostics and the monitoring of patients. 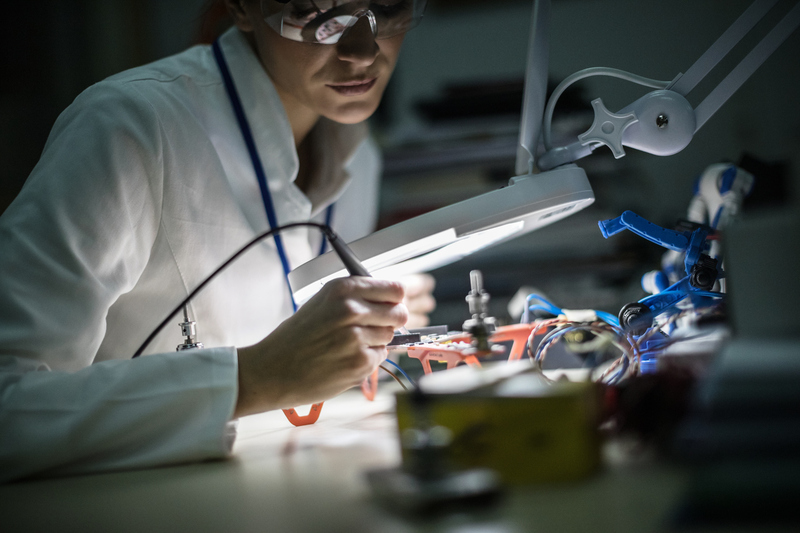 While not every biomedical engineer is on the front lines of cutting-edge discovery, many play an integral role in managing equipment standards for their health care organizations. How? It’s often the biomedical engineer’s responsibility to investigate equipment failures and advise the organization when it’s best to purchase new equipment. Their role is key to patient care, as well as the hospital’s capital planning. 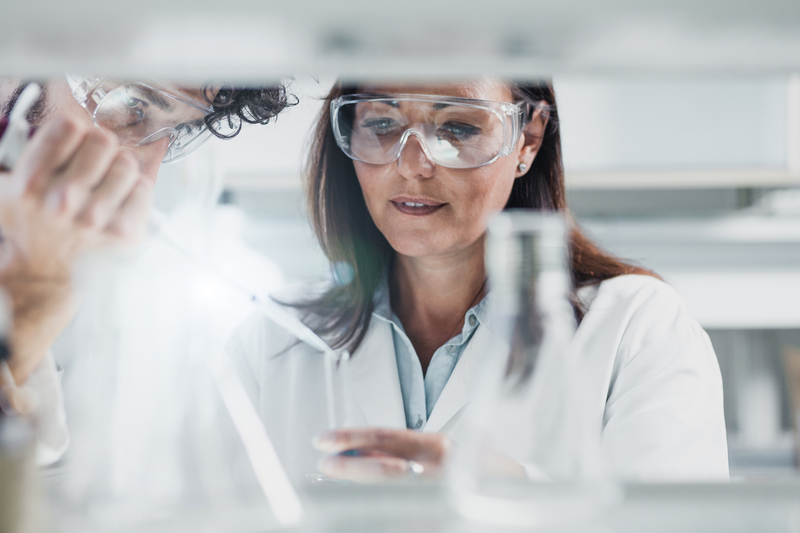 Consider three ways effective equipment standards management under the direction of a biomedical engineer drives efficiency. The benefits of standardization are realized from the very beginning of the construction planning process. By establishing medical equipment standards, biomedical engineers and purchasing teams can quickly input accurate equipment costs estimates, improving workflow for designers and planners. This facilitates a quicker approval process and reduces the amount of time equipment planners must spend selecting and documenting equipment. Equipment planners don’t have to start from scratch for each piece of equipment. Instead, they can focus their attention on truly unique pieces of equipment. An effective equipment standards plan also ensures that hospitals don’t overbuy, either by paying too much or having redundant equipment. Interestingly, Forbes pointed to “purchasing redundant, expensive medical equipment and generating excess demand” as one way hospitals have inadvertently contributed to the increase in health care costs. Equipment standards management prevents that scenario, improving workflow, and reducing costs for both the hospital and the patient. The benefits of standardization continue to affect workflow after the project is complete. Whether an organization is procuring equipment for new construction, an expansion or a remodel, standardizing equipment will make the hospital run more efficiently. Ensuring that common equipment used across departments is the same brand lessens the learning curve when staff must transition to a new floor or department, also reducing the likelihood of human error. Improved workflows reduce costs and improve the quality of care. Standardizing equipment also improves workflow for biomedical engineers themselves. Dealing with fewer manufacturers and models streamlines the amount of analysis, testing and maintenance processes that engineers must know how to do. Hospitals are the second-largest users of energy among commercial buildings, according to Energy Star Commercial Buildings. The most recent data from the Healthier Hospitals Initiative reported that between 2003 and 2008, energy costs for hospitals rose 56 percent. This is partly due to technological advances. Hospitals have the challenge of balancing rising energy costs and the need for technology with remaining competitive and meeting patient needs. Equipment standards management ensures that the all factors are considered before purchasing equipment, including total cost of ownership and the amount of energy savings. When deciding on recommendations, biomedical engineers consider what’s good for the patient, as well as what makes sense for the organization. Standards must be set by assessing current equipment and benchmarking. Make an assessment by calculating the “plug load” of all medical equipment in service. Identify older-generation equipment. Energy performance must be considered when looking at the cost-of-ownership of the older equipment. Once purchases have been made, benchmarking is critical to support future equipment-purchasing decisions. Set energy standards for equipment and collect data that shows the models are meeting those standards and are achieving the expected energy savings. Manufacturers have heard the call for energy efficiency and are meeting those needs. For example, newer MRI and CT scanners are smaller, lighter, more energy efficient and more patient-friendly. Their “plug load” is less, offering up to 50 percent energy savings, according to healthcare design magazine. In addition, newer models save space, are quicker to install, save on construction costs and expose the patient to less radiation. An effective equipment standards plan instigated by a biomedical engineer takes all these factors into consideration. Equipment maintenance is highly specialized, often requiring integration with electronic networks while maintaining safety and compliance. For these reasons, maintenance of medical equipment is often outsourced. However, it’s the biomedical engineer’s responsibility to ensure maintenance is done on-time by a qualified person. At the same time, engineers look for ways to reduce maintenance costs without sacrificing the quality of care, accuracy or reliability. Equipment standards management ensures all these requirements are met. Consider these three tips in your management strategy. Development benchmarking by calculating the equipment’s cost of service (COS). Take into account the equipment and the cost to maintain it, including labor hours, parts, repairs and third-party contracts. Compare the COS ratio against established goals in your equipment management strategy to get direction on increasing efficiency. Don’t outsource all maintenance. Many simple adjustments and minor repairs could be done in-house by clinical engineers. Training in-house staff will save money and reduce downtown since hospitals won’t have to wait on technicians to schedule a call. Many third-party vendors offer remote dial-in tech support to help staff diagnose equipment problems and determine if a technician is really needed. Get a trusted third-party vendor. Biomedical engineers can select to use the original equipment manufacturer (OEM) for maintenance or a third-party repair organization. While many prefer OEM’s because they feel they know the equipment best, OEM’s often charge more and take longer to schedule repairs. A trusted third-party vendor can save the organization money in two ways: lower costs on parts and by reducing downtime with quicker response time. According to Modern Medicine, third-party vendors can save operators as much as 97 percent relative to OEM solutions. How do you know if a third-party vendor is reliable? Look for one with a good reputation in the clinical engineering community. Also, companies with longer warranties tend to provide higher quality parts. The management of medical equipment has taken on new complexity in recent decades. Hospitals must keep up to ensure they remain competitive, meet patient needs and realize cost savings for themselves. The comprehensive equipment planning tool offered by Attainia gives planners and biomedical engineers access to data needed to make sound equipment management decisions. Contact us today to learn more about improving efficiency through equipment standards management.